I don't do "impulse buys" as a rule, but "impulse walks" are another thing entirely. I was driving through Dalkey, Co Dublin at lunchtime and I suddenly decided I'd rather walk up Dalkey Hill than sit eating while I read. The weather overnight in Ireland was horrendous. Many areas were flooded. We're lucky because our house is on the side of a hill so all I had to endure was getting soaked walking the ten feet to the car and driving on roads with an awful lot of water. When I went out at 7am I thought the car was going to be washed away at times there was so much water on the road. By noon it was as if it hadn't rained at all. I know that's not unusual in America in the summer. Sudden downpours can vanish in seconds when the hot sun returns. It's a lot less common here. I don't know that I've ever seen it dry out faster. The sky was a beautiful mixture of puffy clouds and bright blue. There was a fairly strong breeze, but the temperature was around 70 - perfect. I couldn't resist. 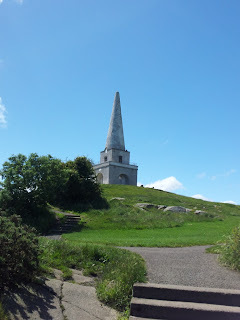 I headed for Dalkey Hill. 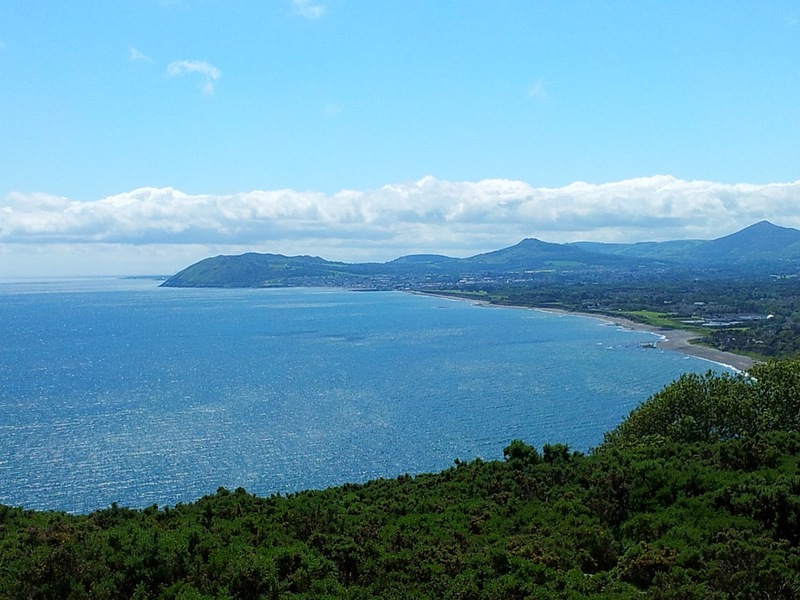 Of course, it's not just Dalkey Hill. There are two hills side by side. 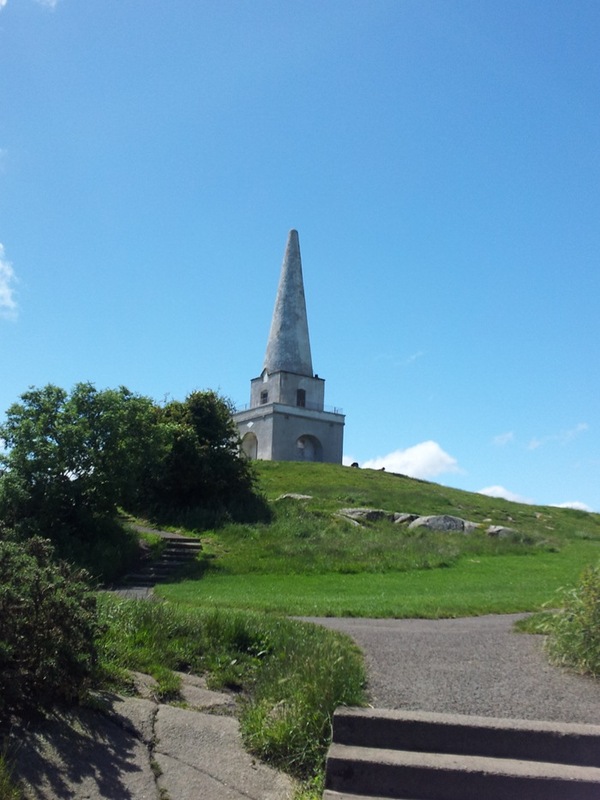 If you walk up Dalkey Hill the chances are you'll come down Killiney Hill. You have to get the whole panorama. I know I've said this before, but Dublin and its surrounds are blessed with many tremendous walks. Dalkey/Killiney Hill is one of them. There's a reason why Bono, the Edge, Maeve Binchy, Neil Jordan and others choose to live there. The views are spectacular. The last place I lived in America before moving to Ireland was Guttenberg, NJ. My wife and I used to regularly walk along the boulevard along the top of the cliffs from where we had a great view of Manhattan. 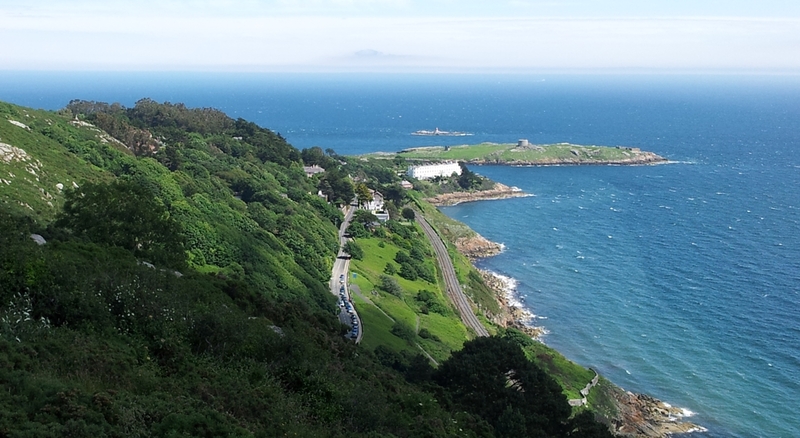 It was tremendous too, but to be honest I prefer the views from the top of Dalkey Hill. I'm pretty sure I've said this before, but it bears repeating: if you find yourself in Dublin an impulsive decision to head to Dalkey on the train or in the car will be richly rewarded if the weather is even half way decent. On a day like today there is no better place on Earth.